Our mechanized cassava / garri takes away the drudgery faced by local producers in the village, hence providing quality garri that has low moisture content, low sand content and acceptable level of cyanide content approved by NAFDAC and other regulatory bodies in the countries. Cassava / Garri is a sort after food staple in the country consumed by majority populace of the country, people consume garri by making it with hot water eating it as eba or pouring cold water in it and adding condiments such as groundnut, sugar, milk, salt or by taking it ordinary without any condiment. Cassava / Garri staple is a common food consumed by all class in the society irrespective of their socioeconomic class and culture. Our branded garri will bring customers to our point of sale because of the quality in our production and packaging. The demand for garri is always on the increase, as majority of Nigeria populace consumes garri as a major staple food. Consumers now concern themselves with the type and quality of garri they consumed this is because of the health concern of consuming garri processed by our local producers in our villages. We will be providing quality garri to our customers at a very competitive price, irrespective of their social economic class. Under the current administration, Nigeria has become the fastest and biggest economy in Africa especially with the boost in the agricultural sector in promoting the cultivation of cassava. This has drastically increased the production of garri for both national and international consumption. With our mechanize garri branded in packs we will be meeting with the need of both national and international standard. Our vision is to ensure that our customers get quality garri with low cyanide content, moisture content and sand content. As a nutritional biochemist under the faculty of Basic medical science I know the benefit of ingesting food free from impurities and contaminations. the technical knowhow of starting successful water bottling company and how to meet up with the increasing demand of customers. As the production manager of inem-waters I was in charge of the planning, coordination and control of manufacturing processes, I ensured our production is efficient and at the correct amount at the right cost and level of quality. There after I acquired the following experience. Being responsible for production process and adjusting schedules as needed. Is working with managers to implement company’s policies and goals. I have used these enumerated skills in running the company as the production manager efficiently and help improve the company’s net profit over the years. Experience has thought me to pay total attention on my products, listen to my customer’s observations and comments on my product, adjust or make amend where necessary at all times. There is need to create a feedback network on products in order to effectively correct all noticeable errors of production. Most importantly viable distribution network and outlets will be created to market this product effectively. With the above summations, I can effectively start and run this business outlet, base on my 5 years experience. I am Micah Odinaka Olugbenga a native of Okrika in Rivers State, a Bachelor degree holder University of Calabar, I am 28 years of age. I read motivational and business books at my spare time; I enjoy playing and watching football. I am very good at surfing the internet in terms of researching, marketing and advertisement. Proficient with Microsoft full pack including excel and power point. I have always seen myself as an employer of labor. Because, I am meant to understand the only way be successful is to make others successful. The private limited liability company is my choice in running the business enterprise. This option enables me to take my destiny in my hands by having the largest share holding in the business and also be the managing director/ chief executive officer of the company. I will take complete responsibility and provide quality leadership needed to nurture the business and fulfill its sets goals and objective. A vibrant board of directors made up of very experience, knowledgeable and credible Nigerians will be selected to provide managerial and financial advisory services to the management team of the company. The board of directors will appoint auditors and legal advisers/company secretary to handle auditing and legal matters of the company. 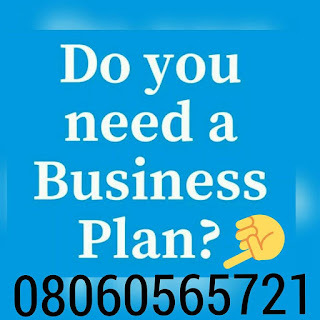 After paying for your Cassava processing Business In Nigeria Feasibility/Business Plan and Manual, send your email and payment details to 08060565721. Hello, pls can I get comprehensive hard copy of business plan on cassava processing? Good day, thanks for your interest. We only offer soft copies. You can print them out yourself or download them on your laptop or mobile device. Hello, we only have soft copies. You will have to print it out yourself or just download it on your computer or mobile device. Thank you. Hello can you send me a soft copies of a comprehensive cassava processing business plan. Pls can i get a comprehensive hard copy of business plan on cassava processing. Hello Grace, we only have soft copies. Pls call us on 08060565721. Costs N10k. Thanks for the work you are doing to enlighten young Nigerians on the need to look inwards to cultivate our lands.Having gone through your package, I want to know if your firm can put together documents for ‘ large-scale Cassava farming & Industrial Cassava Processing Pant’. Thanks once again for your effort. Thank you Wilfred. Yes we can.